So I know what you’re saying… “Oh great! A comic book about wrestling…” I thought the same thing too. Only I had the sound of glee in my voice where your tone was, well… snarky. But quickly I found out that this story deserves two reviews. 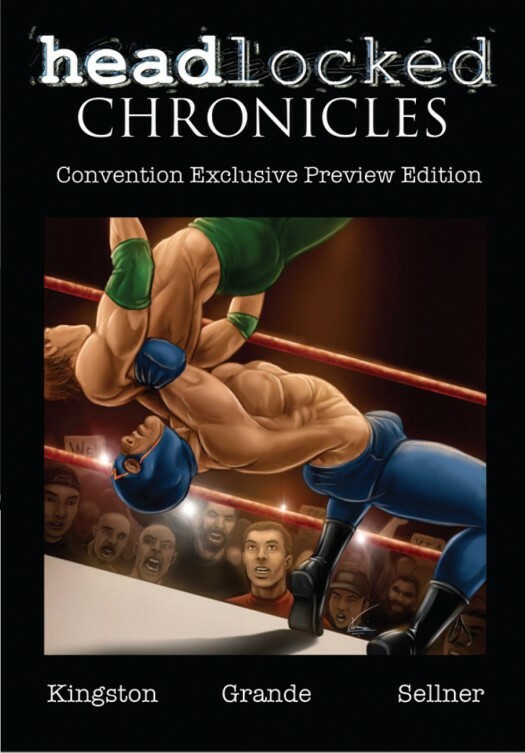 FOR THE WRESTLING FAN: The book is about a guy who wants to become a professional wrestler. He’s willing to put his body on the line and do whatever it takes, but the harsh reality of what happens behind the scenes and in the locker room might prove to be more than he can handle. FOR THE NON-WRESTLING FAN: The book is about a guy struggling to find out who he really is – An artist? An athlete? Both? On his journey he continues to have his conviction tested and the dynamic story telling forces you to flip through the pages hoping he passes the test. I met Michael Kingston at SDCC 2010 (told you to get used to that) and he was so excited and passionate about the book I had to buy it. Since then, I have followed him on Facebook and Twitter and have chimed in from time-to-time to confirm what a great story it is 🙂 I saw him again this year and he RECOGNISED me and said “thanks” for writing when I did. The story is revered by a long list of wrestlers (check out the photo gallery on the website) and is DEFINITELY worth “the price of admission”.